It's time to jump for joy. As public awareness (and pressure) increases, the larger "natural" beauty manufacturers are taking notice, and positive changes are happening... hooray! I recently attended the Natural Products Expo in Washington D.C., and in conjunction with that event, participated in the Round Table discussion hosted by the Campaign for Safe Cosmetics. Both events highlighted for me the laudable and exciting changes that are occurring in the natural products industry, and I’d like to present some notes on what I witnessed as well as give kudos where they are due. a. Surfactants: Up until recently, the surfactants of choice in mass-marketed “natural?shampoos were: sodium lauryl and sodium laureth sulfate. Using the parentheses (from plant sources) was the industry’s way of skirting the issue, but maintaining sales quotas. b. Preservatives: A very hot topic: Recent research making potential links between paraben preservatives and cancer, has led many manufacturers to aggressively research preservative alternatives. 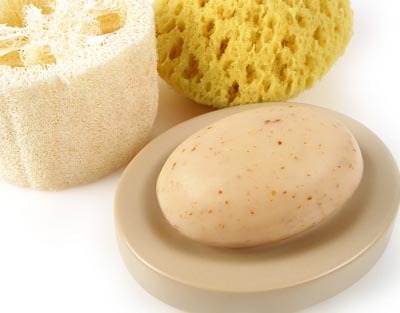 c. Emulsifiers: An emulsifier is a wax that bonds oil to water to help a manufacturer make lotions and creams. Until recently, one of the most popular emulsifiers used contained animal by-products (e-wax), but this was not disclosed to the consumer. New versions of e-wax prove to be more promising for “cruelty-free?products. d. Fragrance: One of the final frontiers in natural products: Nature offers exquisite natural fragrances from its flowers, roots and other plant parts, yet many natural manufacturers still choose to use synthetic fragrances in their products (eg. Burt’s Bees). Some headway has been made in eliminating pthalates from fragrance blends, but more work needs to be done in this area. For years, small manufacturers like me have been talking ourselves blue in the face, and have been attacked for our opinions. The common opinion was that the dangers of parabens were overestimated, and that as long as seriously toxic ingredients such as UREA, ( a preservative derived from bovine urine) were avoided, that irritants such as sodium laurel sulfate, propylene glycol, and talc were okay, as long as they were derived from plant sources. That common opinion has now made a 180% turn. The evidence of this reformuation of opinion, if you will, is evidenced on the product labels themselves. Product labels are how suppliers speak to consumers. If you browse the shelves of Whole Foods, Trader Joe’s, or a small health food store, you will now see deodorants that say: Propylene Glycol free. Last year, they said Propylene Glycol, from plant sources. 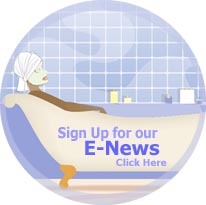 You’ll see shampoos that say, “paraben ?free? whereas previously, no chemist, green or otherwise, would put a product on shelf without parabans, for fear of spoilage. Cleansers, such as California Baby have been reformulated to use Poly Decylglocose, a “green?surfactant developed and approved in Europe, where standards are much more stringent that our almost non-existent ones here in the U.S. Kudos to this company for taking SLS out of their baby products. Let me say, that I had the utmost pleasure to sit next to a manager of the Aubrey Organics Line during the Round Table discussion. To date, this company still sets a much higher standard for ingredients, and manufacturers much differently than any of the other lines that were mentioned earlier. The shampoo bases that Aubrey uses are all liquid soaps bases, not synthetic surfactants. What is the difference? Liquid soaps are the result of the age-old combination of lye and oil, or lye and wax. This was our grandmother’s way of making soap, the original lye coming from ash. Surfactants such as Cocamidropyl Betaine, are chemically derived products that are derived from plant material, such as coconut. The fact that they are derived from coconut does not in any way suggest that they have some special botanical, properties which would heal, or rejuvenate. Cost is also clearly an issue. Most synthetic ingredients, even those plant-derived ones, are cheaper than handmade liquid soap. Even cheaper still are those derived from petroleum sources, although those have largely been eliminated from most products claiming to be natural. There was a ‘green?chemist at the Round Table discussion, who gave us a brief run-down of the basics of green chemistry. After a lengthy explanation about, the splitting and dissection of molecules etc, and the attempt to figure out Nature’s magic, the Aubrey representative recited his definition of green chemistry as a simple alchemy; the manual or mechanical blending together of plant oils and waxes with essential oils, extracts and hydrosols, using heat when necessary to create emulsified products. He echoed the approach of many of the smaller formulators when he said, “Many of our products say, “Shake gently before use? right on the label, since simple alchemy can result in not-so-stable emulsions. This simplicity of formulation, and common sense approach to product presentation is often looked down on by chemists, even green ones, who are caught up in the modern-day obsession with so-called scientific discovery. We, as small formulators, don’t need a degree to know that coconut soap is good for the hair, or that verbena essential oil is beneficial to oily skin. We don’t need to reference a formulary to know that rose and lavender added to a face cream are healthy and fragrant to boot. To hear this representative come out and put it into words in front of reps from Jason, The Body Shop and others, was like letting out a great, big secret. Because this is what we do. We use simple ingredients, simple procedures, and our own God-given talent and imagination to create healthy, fragrant products for our customers. This is ancient knowledge, passed down through centuries, and despite pressure to use more modern ingredients, we always revert back to those that we trust: olive oil, cocoa butter, tea-tree essential oil, neroli hydrosol?etc. Amusing to me were the embarrassed expressions from the vendors who still had formulas containing SLS and paraben preservatives. They lowered their heads and assured attendees that their chemist was reformulating their line, and to please check back with them at the next Expo. It’s as if a common voice has finally risen, and has inspiration and imagination in its song. Some of the other issues that came up at the Round Table discussion for The Campaign for Safe Cosmetics, was whether there would be some kind of certification for the companies who had elected to join. We brought up the fact that although no one was intentionally using the compact as a marketing tool, that it had, in fact, become one. I myself, have experienced this. 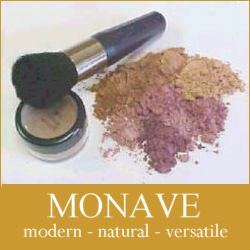 I have spoken to many customers and potential vendors of my cosmetics line (Monave) who found my company through the compact, a list of companies who have pledged to remove all toxins from their cosmetics line and personal care line. The problem is, they don’t know what the compact signifies: Are these product lines free from cancer-causing ingredients? Are they certified organic? These questions remain to be resolved. a. If there would ever be exclusionary doctrine to prevent companies that do have toxic ingredients from not being part of the campaign. b. What if any method of certification or approval would be available to prove that a company has a toxin-free line. (It was agreed by all that if this was a lengthy and tedious certification process, that is may not be beneficial to signers of the compact). c. What the time-table would be for actual removal, and reformulation of those lines that had, for example, fragrances with pthalates. Some of the larger companies such as the Body Shop felt that the Campaign, and signers of the compact should express “goodwill?and patience, since the signing of the compact was completely voluntary. I should note that some highly esteemed persons were at this discussion, including one of the founders of the Environmental Working Group. Some of the organizers in attendance were: Janet Nudelman: The Breast Cancer Fund, Lisa Archer: Friends of the Earth, Bryony Shwan: Women’s Voices for the Earth, These amazing women, have worked tirelessly to coordinate the Campaign, and bring it the forefront of industry new and events. Their effort and dedication is extraordinary and I’ve never been more impressed by the achievements of a small group of women with hearts and minds focused on the health of the human spirit and body. So, in sum, the two events: The Round Table Discussion, as well as the Natural Expo left me feeling inspired and hopeful for the future of the natural products industry. Progress has clearly been made in the area of products ingredients, including: surfactants, preservatives, emulsifiers, and fragrance. Much more work is left to be done, this is clear, but for the first time in years, it appears that the market is finally responding to long-harbored opinions by savvy customers and smaller manufacturers. Our voices have finally been heard, and it’s a day for celebration and rejoicing. This article nor any portions of it may be reproduced or used without written consent from the author. All views expressed in the articles on the "All Natural Info" page are those of the various authors, they are presented here for your enjoyment and enlightenment. These views do not necessarily represent the views of SharAmbrosia or the "all natural beauty" website. Copyright 2003-2005 ?/font> SharAmbrosia. All rights reserved.